Queen Sonja Art Stable is located in the former Royal Stables. These buildings are part of the Palace that has not previously been open to the public. The Royal Stables are worth a visit in their own right. Renovated for the opening of the Art Stable, the stables now appear as they did in their heyday - in the interwar years when King Haakon and Queen Maud kept their horses here. Histories is a wide-ranging exhibition presenting 61 works by three generations of Sámi artists from Norway, Sweden and Finland. Detail of Britta Marakatt-Labba’s Historja (History). This fantastic tapestry depicts Sámi myths, history and lifestyle. Photo: KORO/Cathrine Wang. 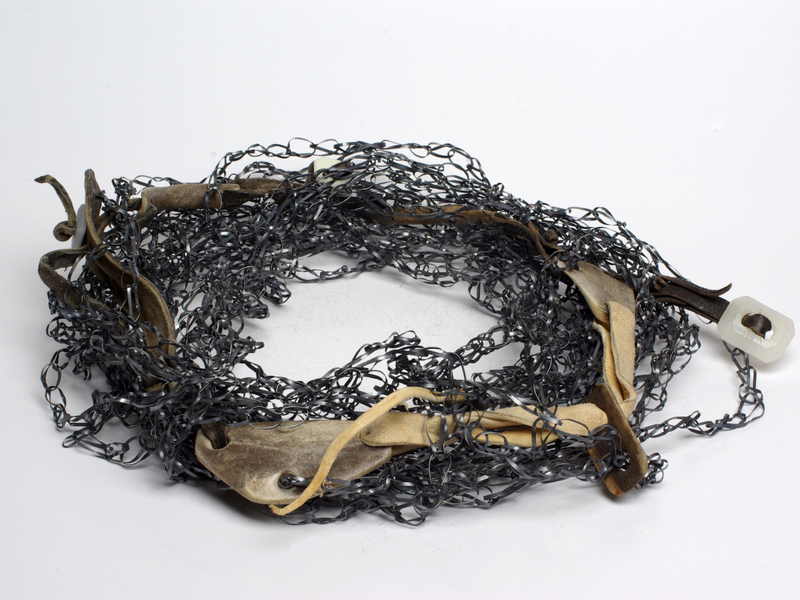 Iver Jåks (1932–2007) is regarded as a pioneer within the field of Sámi post-war art. His installations build a bridge between modernism and Sámi handicraft traditions – duodji. Jåks is well represented in the exhibition, with several sculptures and installations. 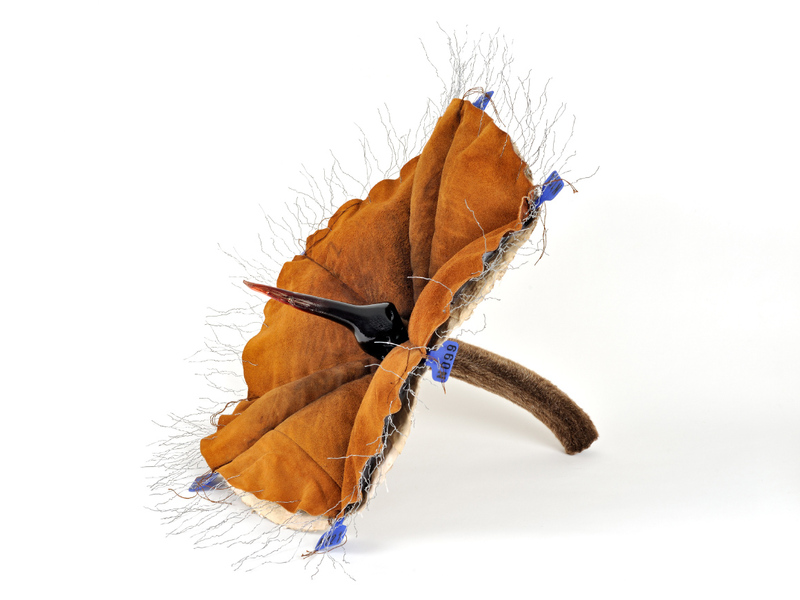 From the 1970s onwards, art and artists – such as Synnøve Persen and Britta Marakatt-Labba – played an increasingly influential role in the ongoing development of Sámi society and identity. In 2018 Synnøve Persen was named Commander of the Royal Norwegian Order of St. Olav by His Majesty The King and was awarded the Arts Council Norway’s Honorary Award. 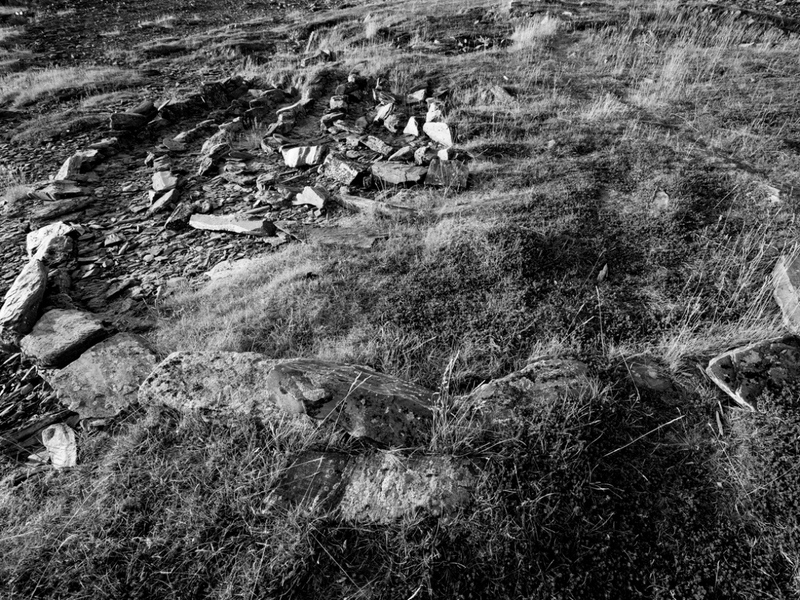 A still frame from the 2009-2010 video work Hellige landskap (Sacred Landscapes) by Synnøve Persen and Kjell Ove Storvik. Photo: Kjell Ove Storvik. Swedish-Sámi Britta Marakatt-Labba has crafted a monumental tapestry, Historja (History), featuring embroidered motifs from Sámi history, society and lifestyle back to the times of the myths. This work, more than 20 metres across, was created as a decoration for UiT - The Arctic University of Norway, and has been shown in New York and at the prestigious documenta 14 in Greece. It is now being shown in Oslo for the first time. 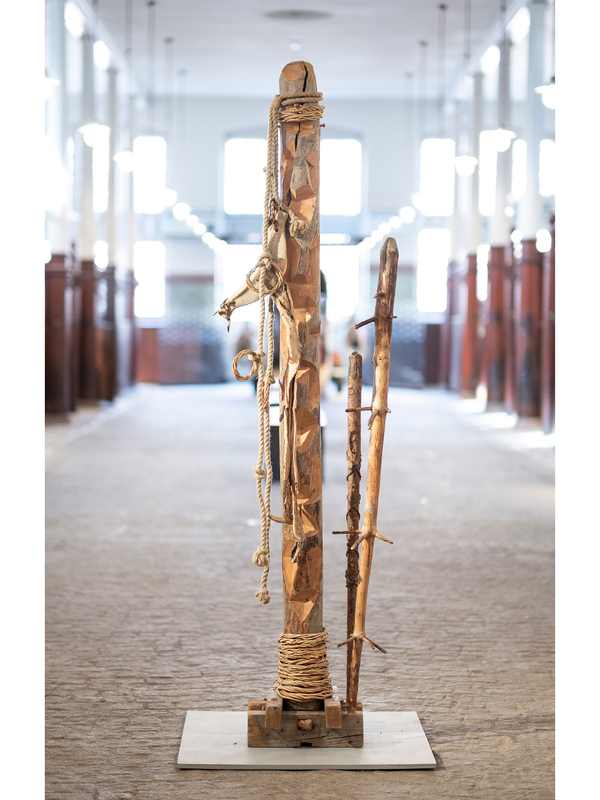 Joar Nango has created an installation especially for this exhibition, inspired by the Art Stable’s original use in horse care as well as the nomadic lifestyle of traditional Sámi culture. Photo: Sven Gj. Gjeruldsen, The Royal Court. Artists from the younger generation are also represented. The works of Joar Nango, Máret Anne Sara, and Finnish- Sámi artists Outi Pieski and Marja Helander all touch on issues relating to Sámi society and identity. For more details, see the exhibition’s brochure (PDF). The Royal Stables were built between 1845 and 1848 according to designs from Palace architect H.D.F. Linstow. King Haakon and Queen Maud expanded the facilities in 1911. British-born Queen Maud was an accomplished equestrian, and the stables were remodelled based on those at Buckingham Palace, the Royal Mews. The expanded stables provided a number of new functions, including an equestrian arena with a spectator gallery and bandstand, a shoeing forge and infirmary stalls. The coronation carriage returning to the Palace after a visit to the Storting, January 1932. The Royal Stables had room for 38 horses. Photographer: Carsten Sætren, The Royal Collections. On Queen Maud’s initiative, a British stable master was hired. At one point, there was a staff of 13 grooms living in the accommodations above the centre stable building. The centre stable could house 38 horses as well as carriages, saddles and harnesses. After Queen Maud’s death in 1938, the practice of keeping horses declined. The last horses were removed from the Royal Stables shortly after the outbreak of war in 1940. When the Royal Family returned to the Palace in 1945, it was by car. The era of the horse had ended. The former stalls have been retained as part of the interior as the building was adapted to become the Art Stable. Photo: Jan Haug, The Royal Court. The use of this venue was a gift to Her Majesty Queen Sonja from His Majesty The King. The Royal Stables had been used for storage since World War II. Now the building was to be converted into an arena for art and culture. The Queen Sonja Art Stable officially opened on the Queen’s 80th birthday, 4 July 2017, and was opened to the public on 5 July. The opening of the Queen Sonja Art Stable marks the beginning of a new era for the stables. Where the horses once stood in their stalls, the public can now enjoy art and history. 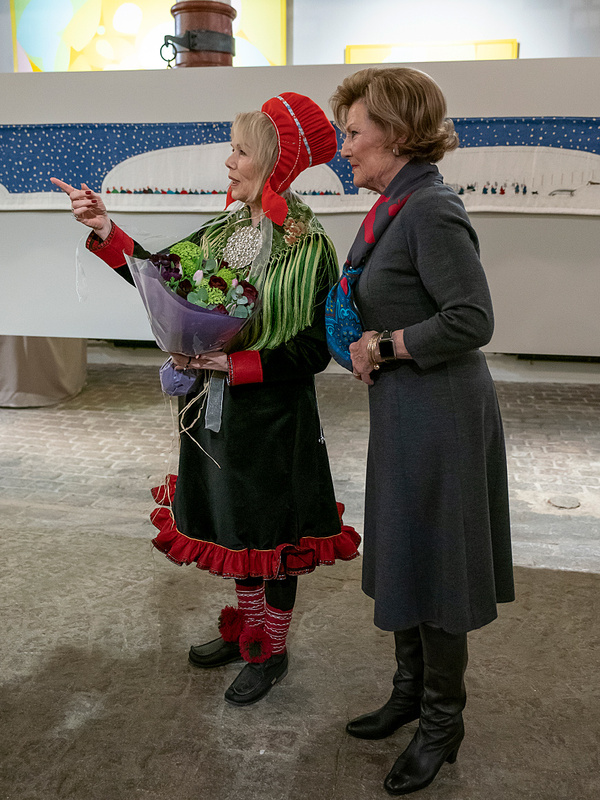 Queen Sonja and artist Synnøve Persen. Photo: Heiko Junge, NTB scanpix. Inger Blix Kvammen: Father I, 2015 Foto: (c) Michael Tiedeman. Stillbilde fra Synnøve Persen og Kjell Olve Storviks video Hellige landskap (2009-2010). Foto: Kjell Ove Storvik. Marja Helander, Buollanoaivi, 2001 Foto: (c) Marja Helander. We may close for special events or the mounting of new exhibitions. Changes in opening hours are announced on Facebook and here on Royalcourt.no. During the summer season when the Royal Palace is open for guided tours, a combination ticket for a tour of the Palace and entry to the Art Stable may be purchased, in advance only, at Ticketmaster.no. A combination ticket costs NOK 200.